In honor of Down Syndrome Awareness Month, I am reposting the review of this amazing book. 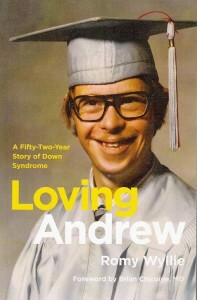 For more information about Down syndrome, please visit the National Down Syndrome Society at http://www.ndss.org/. Complementary Therapies are a diverse range of therapies which can be used in addition to mainstream medicine in order to relieve the discomfort of children with cancer and improve their quality of life. Some of the best known are aromatherapy massage, reflexology, art therapy, music therapy and counselling. The use of these therapies is increasing especially in the cases of the sickest children. Complementary therapies can have varied effects from soothing and relaxing to pain relief and also in helping strengthen the immune system. On an emotional level both the parents and the child can feel that they have taken back some of the control by using a complementary therapy. Some patients may believe that it can change their outcome and parents who go this route can feel more motivated to find a cure for their child. The Department of Medical Oncology at St. Bartholomew\’s Hospital, London, produced a research paper which concluded that patients\’ satisfaction with complementary therapies was high even without the hoped for anti-cancer effect. Patients also reported psychological benefits such as optimism and hope. Therapies such as aromatherapy and reflexology are based in the area known as holistic medicine, which means that well-being is a harmonious balance between the mind, body and spirit. When this balance is restored it is said to stimulate the body\’s natural self-healing processes. For those who feel less comfortable with touch or talk therapies art or music therapies are wonderful options. Art therapists believe that being creative helps to heal. To do music therapy the patient does not need to be musical as the purpose is to relax and reduce anxiety, symptoms and the side effects of treatment. For those new to considering complementary therapies it may be a surprise to find out that the roots of many holistic therapies go back 4000-5000 years across the Ancient Egyptian culture to the Indian subcontinent where one could find Ayurvedic medicine which is still practised today. Chinese Medicine has more than 4000 years of history and is based on the philosophical concept of balance – yin and yang. In China they would pay their physicians to maintain their health not when they found themselves ill.
As the UK has been a destination for invaders, refugees, scholars, travellers and migrants part of this legacy is a diversity of health and medical practices that are today referred to as ‘complementary and alternative medicine’ (CAM). There has been much conflict in the past between conventional medicine and CAM practitioners and during the early twentieth century CAM was virtually outlawed in Britain. Nowadays the complementary/alternative health movement is accepted as part of modern life and increasing amounts of people are opening up to trying these therapies. Jackie is trained in reflexology, auricular acupuncture and Vortex Healing®. This is the first of a set of articles focusing on complentary therapies for childhood cancer. The series is dedicated to Meltem Ocal Kogelbauer\’s daughter Melanie who lost her battle with childhood cancer and all the other children and parents who have been through the same experience. Sickle cell anemia is a disease of the blood specifically in red blood cells. It is an inherited disease that can pass through generations. The red blood cells are shaped like a C. This occurs during mutation. The life of a person having sickle cell anemia is shortened. Studies show the average life span of a person having this disease is about 42 to 48 years. Our normal red blood cells are disc-shaped. The red blood cells pass through our blood vessels. It contains protein hemoglobin. This is an iron rich protein that gives the blood a red color. Its main function is to carry oxygen from the lungs to the different parts of the body. In sickle cells, the abnormal hemoglobin causes the cells to have a C shape or crescent shape. These cells can\’t pass through easily in the blood vessels and because of this they usually get stuck in the blood vessels. Common symptoms of this disease includes: abdominal pain, pain in the bones, delayed growth, fatigue, fever, paleness, increase heart rate, jaundice and ulcers on the lower extremities. Other people with sickle cell anemia can experience: chest pain, excessive thirst, frequent urination, painful and prolonged erection in men, poor eye sight or even blindness, skin ulcers and stoke. Diagnosis of this disease would include the following laboratory exams and test: complete blood count, hemoglobin electrophoresis and sickle cell test. Patients having this disease should undergo an ongoing treatment. Folic acid supplements are recommended because they are needed for producing red blood cells. During painful episodes, they are treated with pain medications. They are also advised to increase fluid intake. Antibiotics and vaccines are given to patients to prevent bacterial infections. Blood transfusion is also recommended. Sickle cell anemia can lead to many complications, to name some: stroke occurs from the narrowing of the blood vessels. Gallbladder stones could also develop because of excessive bilirubin. Tolerance of opiod will also developed because of therapeutic use and later on the patient will have a chronic renal failure. Sickle cell anemia is a kind of anemia. 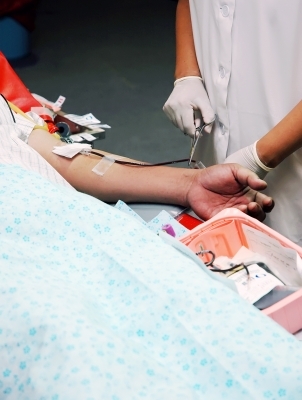 In anemia our blood has a lower normal number of red blood cells. It occurs when the red blood cells don\’t have enough hemoglobin. The normal red blood cell last about 120 days while sickle cell about 10-20 days. That is one reason why patients having sickle cell have a shorter life span. Sickle cell anemia is a life long disease and can be inherited from offspring. We should be free to enjoy everything that happens around us from learning about butterflies to doing our first solo bike ride to watching our fathers fix things in the garage. At that time in our lives, we don\’t think of the future and are allowed to believe that everything will go on as it is today. Yes, we\’ll get minor illnesses such as mumps, chicken pox, measles and coughs but we\’ll get through it. Juvenile arthritis, on the other hand, is not so easy to overcome and can be very difficult for children to cope with. Over time we assimilate knowledge of ailments and illnesses and most of us know that arthritis is an affliction that normally affects older people and makes bones and joints ache. What many of us don\’t know however is that there are over 100 different types of arthritis and one of those is known as juvenile rheumatoid arthritis (JRA) – or juvenile arthritis. This disease is unlike many other types of arthritis as it affects children aged 16 and under. Diagnosed with this condition, children can experience swelling and stiffness for over six weeks. There are three known types of juvenile arthritis, and they are grouped by symptoms, which joints are affected and whether or not blood tests identify specific antibodies. Half of all children with juvenile arthritis have what is known as Pauciarticular JRA. This affects a maximum of 4 joints. Girls under 8 years old are most prone to developing this type of JRA which normally affects larger joints such as knees or shoulders. Additionally, roughly a third of all children who suffer from juvenile arthritis suffer from Polyarticular JRA. This tends to affect smaller joints such as in feet and hands. It is important to note here that this type of arthritis affects the identical joint on both sides of the child\’s body. Thirdly, as well as joint swelling, systemic JRA can cause minor skin irritation and fever. It can also involve internal organs which could include the heart, spleen and liver. Unfortunately, about 20of children suffering from juvenile arthritis suffer from systemic JRA. Each of the three types of juvenile arthritis are autoimmune diseases. What this means is that the child\’s body is confusing its own cells and tissues as a threat. This causes the body (or more specifically its immune system) to attack the healthy tissues and cells. It is believed that juvenile arthritis can develop due to both environmental and genetic factors. After a successful diagnosis has been made, there are several ways in which juvenile arthritis can be treated. Physical therapy is the first, biologic agents such as etanercerpt, disease-modifying anti-rheumatic drugs, alternative and complimentary medicine, corticosteroids and non-steroid anti-inflammatory drugs such as aspirin and ibuprofen. As you can imagine, a disease such as juvenile arthritis is very difficult for a child to endure but it is uplifting to know that as diagnoses and treatments get better, the condition will also become more manageable for the child. As parents work to find effective treatments for autism, many of the usual symptoms their children display will continue. In the majority of cases, this often includes some form of \’stimming\’. Stimming is an extremely common autism symptom that includes certain repeated behaviors or movements. These behaviors are self-stimulating and consist of repetitive behaviors that are performed to stimulate the senses. Examples of stimming include clapping, running in circles, humming, or manipulating objects (such as bending straws or ripping paper). Though stimming behaviors may appear to be unnecessary or even unsuitable to some situations, they\’re not done to draw attention or to disrupt. Instead, stimming behaviors are often used in order to decrease the stress levels of the child performing them. As autism causes children to react atypically to sensory stimuli, they often use stimming to help to deal with their sensory issues. Rocking is another kind of stimming behavior that is common among autistic children. Many autistic children feel that rocking back and forth allows them to reestablish a sense of focus when they feel overly sensitive to the stimulus from their surroundings. It can also help with concentration and focus. Though it is more obvious in autistic children, non-autistic children and adults also participate in forms of stimming. Consider the number of times you\’ve seen someone drumming their fingers, tapping their pencil, fidgeting with paper, or bounced a knee when sitting down. Anxiety tends to worsens these behaviors. Though behaviors such as biting nails or whistling are often done involuntarily, they do help us to keep control over our emotions and calm us down in tense situations. As children with autism usually find stressors in more of the stimuli in their environment, they often \’stim\’ regularly throughout the day and especially when placed into a new environment. If you find that your child\’s level of stimming increases in line with the introduction of new of more frequent treatments there could be a number of reasons for this. 3. They don\’t like the change to their routine that the new or increased frequency of treatment is introducing. Of course these reasons aren\’t the only ones. However, the key is to monitor behavior and see if the stimming levels out, increases further or decreases as the treatment program progresses. It is also important to keep in mind that stimming behaviors can turn into obsessions. When identifying characteristics for treatment for autism, divide your child\’s stimming into two groups: excitatory and calming. Stimming that is calming is the kind that helps your autistic child to regain focus when feeling stress or anxiety. On the other hand excitatory stimming sends your child\’s focus in a negative direction. An example of excitatory stimming could be when an autistic child gets wound up and instead of smiling and giggling, he or she might start clapping, running, or yelling. This can be detrimental behavior as it encourages behaviors that can be inappropriate and are not conducive for effective learning. Stimming may also be an attachment to specific objects. Though most small children will often have a favorite toy such as a doll or blanket, in the case of autistic children they may struggle give up their attachment to this object. It may be something that they like to smell, look at, hear, or touch. Stimming can also take the form of organizing things. For example, an autistic child may self-stimulate by placing things in order, lining them up, or stacking things. This, like other stimming behaviors, can easily become an obsession. Stimming habits can be very challenging to break as they are often relaxing and enjoyable and provide a coping mechanism for an autistic child. As a parent you will need to decide what stimming behavior is acceptable both in terms of the action itself and frequency. Bear in mind that trying to stop all stimming could be very stressful for your child. So concentrate on the behaviors that are excitory or inappropriate and leave the calming or harmless activities alone. When considering a treatment for autism for your child, make sure that the doctor or specialist is aware of all of your child\’s stimming behaviors so that they can be properly addressed. Keep in mind that stimming often differs from one form of autism to the next. Asthma is a disease of long term that makes the tubes that lead to the lungs narrow. People that have asthma usually make a whistling sound when they breathe, they have tightness in their chest, their breath is short and they cough either during the night or early in the morning. 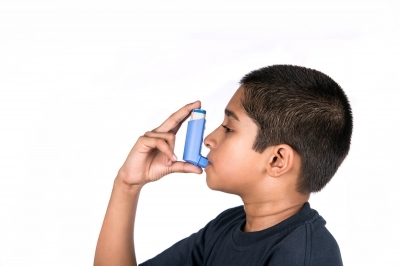 There is no age limit at which asthma will strike both children and adults can have asthma. Research shows that about twenty million people have asthma of which six million of these people are children. Asthma causes the airways (the tubes that carry air to the lungs) to become irritates and then inflamed. When the airways come in contact with an irritant they become swollen and that will cause less air to reach the lungs. The airways can become narrow when the cells around them become swollen and begin to make more mucous than they normally would. These symptoms can happen each time the airways are irritated. Although asthma and allergies are not the same they do go together. Asthma is a disease of the bronchial tubes while allergic asthma is caused by allergens such as dust, dust mites, pet dander, mold, cigarette smoke, etc. For the person with allergies and asthma the things that start the allergies going can also irritate the airways and trigger the asthma symptoms. How can an allergic reaction cause and asthmatic reaction? When allergens cause symptoms by irritating the nose they cause nasal congestion itchy eyes and skin rashes and hives. This form of allergy symptom can cause an inflamed airway that is usually the same as asthma. To give you an example: if you have been diagnosed with allergy to ferrets than you are known to have a ferret allergy. The fur of the ferret has proteins and dander that can irritate the nasal passages which will cause swelling. If you have an allergic asthma the reaction will carry over and cause the airways to be inflamed thereby causing asthma symptoms. One type of allergy treatment that can lower the asthma symptoms is the allergy shot. It will slowly reduce your immune systems response to the things you are allergic to that may cause your asthma. To control the symptoms of asthma, and you have allergic asthma, then stay away from the things that may start your symptoms. There are some medications that can treat both conditions but on the most part the medications treat each condition separately. You would not use a nasal spray for a skin condition but there are some pills that can be used for both conditions. There is a pill called a leukotriene modifier, which regulates the chemicals of the immune system which are freed during an allergic reaction. People at risk for allergic asthma are those with a family history of allergies. Hay fever is also a risk for allergic asthma and it has been found that one of every four people with hay fever develop asthma. If you have both allergy and asthma symptoms you should see an allergist or immunologist and discuss treatment. Once you know how the immune system and the airways work and react it\’s a step toward treatment. Once you know what causes the symptoms you will be able to avoid them. In order to keep your asthma and allergy symptoms under control you have to work hand-in-hand with your allergist or immunologist and follow orders precisely. Children have an innate gift of acceptance toward people and animals that if fostered will remain throughout adulthood. Finding top-rated children’s picture books that encourage tolerance of others can be difficult. Books share life moments that are unforgettable for children. Studies show that reading to children at an early age enlarges their vocabulary, increases their awareness of sounds and rhythms, and improves their attention spans. Encouraging your child to read award-winning children’s picture books brings quality to their life lessons and develops an understanding of people, places, and events that impact their lives. When combined with beautifully illustrated pages, children find meaning in the images, characters, and content. Cultivating a love of books in children is the single most valuable tool you can offer them. As parents we want to influence our children positively by teaching them that all people are unique and wonderful in and of themselves. Accepting others for who they are is an important part of proper growth and development. 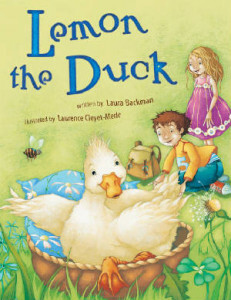 There is a top-rated kid’s picture book that takes children on an adventure with a classroom and their desire to help a beloved duck named Lemon. Based on the author’s real-life experience with her pet duck, Laura Backman cleverly endears us to Lemon and teaches the reader the rewards of perseverance and acceptance. For those children who personally experience a special need that requires them to move around uniquely, Lemon the Duck will become a treasured read. Those children who know or spend their classroom time with a friend who has difficulty walking, Lemon the Duck will give insight and understanding. The first step to helping children cope with disability is to let them know they are not alone; no child can cope with a disability if they feel isolated. Children need constant support, and your presence is an important part of their journey toward accepting and living with their disabilities. As a motivator, you must maintain a positive attitude. Children take cues from adults they trust, and if they sense something is wrong with you they will become uneasy. A positive attitude will allow children to feel at ease with themselves, which is crucial if they are trying to cope with disability. You should also do as much research about the disability as possible. In order to truly help children cope with disability, you need to know exactly what they are going through, physically and mentally. This entails learning about the biological processes involved in the disability, as well and the emotional and mental effects the disability may have. This knowledge will give you the tools you need to earn the children’s trust. By demonstrating an understanding of their conditions you can become a reliable source of support for children with disabilities. Once you have learned about the disability, you should share the information with the children; it will be easier for children to cope with a disability if they know exactly how it affects them. Armed with this knowledge, children will not be caught off guard by side effects or symptoms. Knowing about their disabilities will also help children feel more in control of their bodies and be better able to cope with their disabilities. Another way to help children cope with disability is to be there for them. Let them know that you understand how hard it is for them to live with their disability, but that you also know they are capable of accomplishing great things. If you can balance knowledge, patience, empathy, and a positive attitude, you will be able to successfully help children cope with disability. Cognitive processing training and therapy are necessary before or during dyslexia training. Most experts agree that dyslexia is a minimal or limited brain dysfunction, resulting in reading and writing difficulties. There are medigating factors that will determine how quickly and effeciently a child will respond to help and training for dyslexia. Cognitive development in a capsule is how fast and how efficiently we learn. How fast we learn and think and how well we remember, are just two of many important cognitive skills. When a child has been diagnosed with dyslexia, it is important determine his or her level of cognitive processing function as well. Cognitive skills determine how fast and effeciently we learn and perform basic tasks such as reading, writing, Cognitive skills are the backbone of the learning process and can be developed. The brain as well as the body must be exercised and developed to learn fast and effectively. Cognitive processing training is exercise for the brain as physical exercise is for the body. Just as a person who has lost muscle strength in a leg must exercise and walk a little more each day to gain strength; a child with dyslexia must build and develop cognitive skills to overcome a disability like dyslexia. Cognitive training makes the learning process faster and easier because more of the learning process becomes automatic through intense and progressive exercise. For example, Daniel age 8 has dyseidesia. Typical for this type of dyslexia, he often reverses letters and phonetically sounds out even simple words. As a result, Daniel\’s reading skills are slow and methodical as he sounds out each word as he reads. His strength is in phonetics; therefore, the phonetic approach will be used to help Daniel now. Later in therapy sessions sight words will be incorporated. Daniel is now preoccupied with the mechanics of reading and writing and is still reading too slowly and not comprehending what he reads. 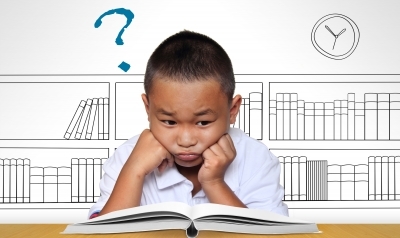 Cognitive processing training would improve his reading speed, efficiency and comprehension. For Daniel to learn faster, cognitive training exercises should be introduced early in the dyslexia training sessions. The exercises should start with patterns and objects and progress to letters and numbers as processing improves. As the intensity of the exercises increase, Daniel\’s processing speed, visual motor speed, and visualization skills will improve. Eye-teaming is also important to include in dyslexia training. Although vision is not a component of the cause of dyslexia, vision problems can hinder the dyslexia training. One aspect of vision that is often overlooked is eye-teaming. Unlike refractive errors that must be corrected with lens, eye-teaming problems can improve with therapy. Eye-teaming occurs when both eyes converge or come together exactly on the same object of regard. In the case of reading, this would be a letter or word. Vergence insufficiency occurs when binocular fusion (in both eyes) is broken and one eye is not pointed at the letter or word. Over-converging means one eye moves too far inward, missing the target letter or word. Under-converging means that one eye does not reach the target letter or word. Physical manifestations of eye-teaming difficulties can include blurring, itching, aching, and excessive blinking and squinting of the eyes. In addition, skipping small words and lines of print and a short attention span with avoidance of reading, may be the result of an eye-teaming problem. There are more sophisticated tests available but the one below can detect an eye-teaming difficulty. Stand in front of your child and hold a pencil upright with the tip of the eraser about 6 inches from your child\’s nose. Instruct your child to focus on the tip of the eraser…now slowly move the eraser toward the tip of the nose, almost touching it. Look at his/her eyes as you are doing this… if one eye turns outward or inward this is an indication of an eye-teaming problem. Remember that both eyes must focus on a word to see it correctly and accurately when reading. Optometric vision therapy can be performed by a parent or teacher to alleviate an eye-teaming problem. These procedures can be incorporated into dyslexia therapy and training and only take a few minutes a day. An optometrist or visual therapist can help you determine the correct exercises for your child. Cognitive processing training and eye-teaming therapy are two of the ways a parent or teacher can help a child with dyslexia learn faster and easier. Dyslexia is a complex disorder but cognitive and visual training can clear the pathway to make learning easier. Progressive Learning Solutions is owned and operated by Anne Sentell, the author and developer of the Left Behind Survival Kit. Anne began her career as a Tutor and Title 1 reading Instructor and teacher.She received her BA degree in psychology and became a visual and cognitive therapist. She went to work in an optometric setting teaching visual and cognitive therapy to children with visual and learning difficulties. Later, she began working in her home teaching cognitive training and therapy to children with learning disabilities – the success of the students was tremendous. Seeing the great need for all children to have access to cognitive training, she developed the Left Behind Survival kit home kit. This program is designed for teachers and parents to help develop their children\’s cognitive skills and abilities at home or at school.